More than 700 Victorian Catholic and independent schools will share in $1.7 billion of Commonwealth funding next month after a last-ditch deal between the warring state and federal governments. How much is your school charging you? 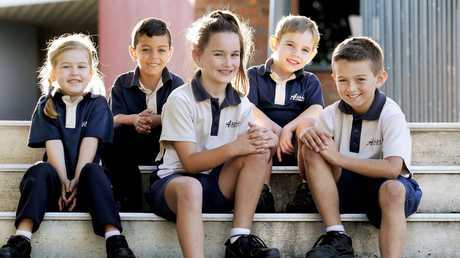 PRIVATE and Catholic schools across the Gold Coast are raising annual fees well above inflation and in line with hikes in Brisbane. Increases range from $35 to $550, with the most significant price hikes at Tamborine Mountain College, Saint Michael's College and Lutheran Ormeau District School. On average the Gold Coast's elite schools have listed increases of 3 per cent, almost double the 1.9 per cent inflation rate. According to an analysis of the 2018 Good Schools Guide data and current advertised fees, parents at Tamborine Mountain College senior students will pay an extra 9 per cent on last year's tuition fees. Saint Michael's College junior and senior fees (inclusive) have both increased by 6 per cent, just over $300. 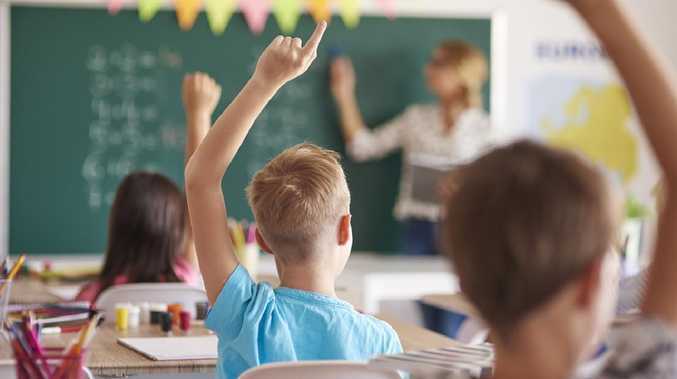 Parents of primary students at Lutheran Ormeau District School saw a bump of 7 per cent in tuition fees, with an extra $239 added to their bill. Other annual tuition fees for the school rose by 4 per cent. Students at Assisi Catholic College will receive the smallest price increase. Assisi College registered the smallest tuition price increase of just $35 or 1 per cent for prep students, and $50 for senior students. Assisi Catholic College, Silkwood School and Marymount listed the most affordable annual tuition fees, all coming in at under $5000. Enrolment at The Southport School remains the most expensive listed on the Gold Coast, with annual all-inclusive fees of $23,196 - a rise of $500 or 2 per cent on last year. Gold Coast lawyer Michael Gatenby, who sends his son William to TSS, said the price for extra curricular activities could quickly add up so he was happy to pay a lump sum. "Some schools have hidden fees depending on the activities or the classes that you need to pay on top of tuition. I find the all-inclusive option much easier," he said. "He is only in grade 8 and has already been able to participate in sailing, debating and all sorts of sports - I believe we are getting value for money." 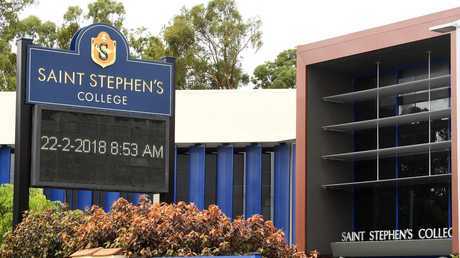 Saint Stephen's College director of enrolments Mary Pearse said private schools were always conscious of fee hikes. 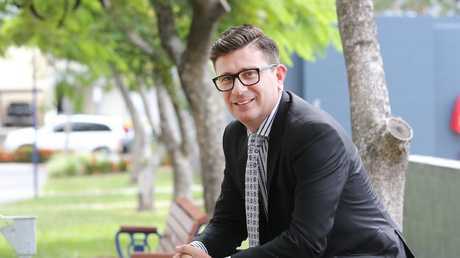 The Upper Coomera school lists each of its fees separately, and raised the cost of tuition by just 2-3 per cent for 2019, an increase from $9232 to $9464 for the senior school annual tuition fees. Ms Pearse said parents knew what they are getting with itemised payments. "Obviously when a person wants to educate their children at a private school it is a long-term investment for them,'' she said. "We make sure families are well aware of the extra charges included so they get a good indication of where the money is going. "Fees however should never be the only thing that determines where you send your child." Data from the Good Education Group revealed that nationally independent schools had seen the steepest increases in fees, with a hikes of $8000 since 2009. Good Education Group adviser Sam Sapuppo said many parents might be unaware of "hidden costs'' that could increase quickly. "These hidden costs could be the increasing costs of OH&S," he said. "Some educational costs shouldn't be considered 'additional costs' but rather should be considered part of a holistic learning experience, what schools these days are calling 'learning beyond the classroom' such as excursions, camps, extra curricular activities, technology programs. "Keep in mind a significant amount of thought and planning has gone into designing and implementing school programs and activities. These additional costs haven't just been implemented on a whim."